Concave microscope slides have either one or two depressions. They are able to hold a larger amount of medium and thicker samples. Concave microscope slides have, depending on their type, either one or two round indentations or depressions. These indentations are between 0.5 and 0.8mm deep. The slide might be slightly thicker. Concave slides are able to hold significantly more liquid compared to regular slides. Concave slides are suitable for specimens which would be too thick to be observed with regular slides. Water fleas, for example, are relatively thick and are easily crushed when sandwitched between slide and cover glass. Concave slides give them significantly more freedom for movement. Once I could observe that the pressure of the cover glass on a water flea actually caused it to lose its eggs, which it carried internally. These artifacts can be avoided when giving the specimens more space. A second advantage is, that concave slides are able to hold significantly more fluid and therefore do not dry out as quickly as conventional slides, when making a temporary mount with water. Larger and thicker specimens (such as insects), sand grains, etc., can be easily dry-mounted. The specimen is placed into the concave indentation and the cover glass can then be placed on top without it touching the specimen. 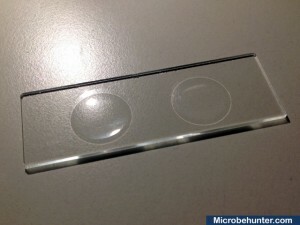 Clear nail polish can then be used to stick the cover glass to the slide. 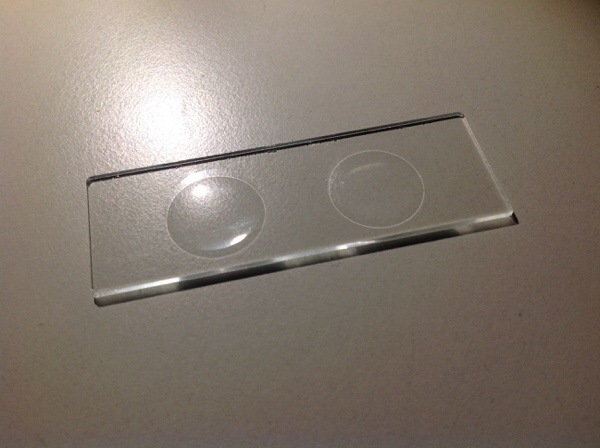 Because concave slides are able to hold water droplets without them overflowing easily, they can also be used for stereo microscopy and with water immersion objectives. These specialized objectives are water proof with the front lens submerged in the water droplet. Concave slides are signifcantly more expensive than regular slides. It is therefore meaningful to reuse them over and over again. The ability for specimens to move more freely is also a disadvantage, as they can now move in and out of focus more easily and it is more difficult to track them. It’s been years since I used these, but a concave slide has specific reasons for being used. Try googling “Hanging Drop Preparations”. This is/was a common procedure for maintaining a live preparation for an extended time. The organism was free to move in the medium and it was far less susceptible to drying out. Too, one could watch how it moved without it becoming restricted by a prgressively thinner layer of liquid.